It’s December, the month of frenzied gift-giving! And in the spirit of the season, we have another CD to give away from Putumayo World Music. 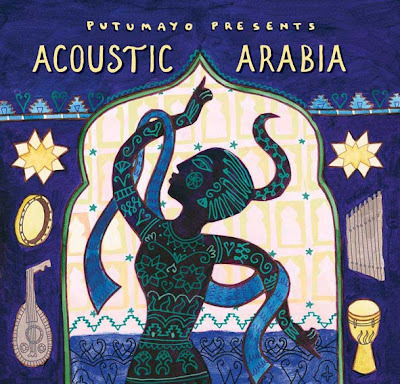 This time it’s Acoustic Arabia: a collection of contemplative and introspective acoustic music from the Arabic world. Name one of the three divas performing in the group Les Orientales. Click here to send us an email with the answer, and remember to include your name and postal address.